Add a touch of glamour to your in-home dining experience with this stunning buffet. The ample storage space provided by four drawers and two glass cabinets combines form and functionality. Its lustrous sheen and polished chrome hardware enhance elegance, and the dark finish brings sophistication and modernism to your dining space. Available in dark cherry with polished chrome hardware. Add a touch of glamour to your in-home dining experience with this stunning multi-tiered buffet. The ample storage space provided by the storage cabinet and five open shelves combine form and functionality. It lustrous sheen and polished silver hardware enhance elegance, and the rich grey finish brings sophistication and modernism to your dining space. Warm and bold, this five-piece counter-height table set is tasteful yet understated. The rich walnut finish and espresso seating add a sense of casual elegance to your dining space. The table's built-in lower shelf is perfect for keeping dining essentials at-hand. Gather around and enjoy quality time with some of your favourite people! 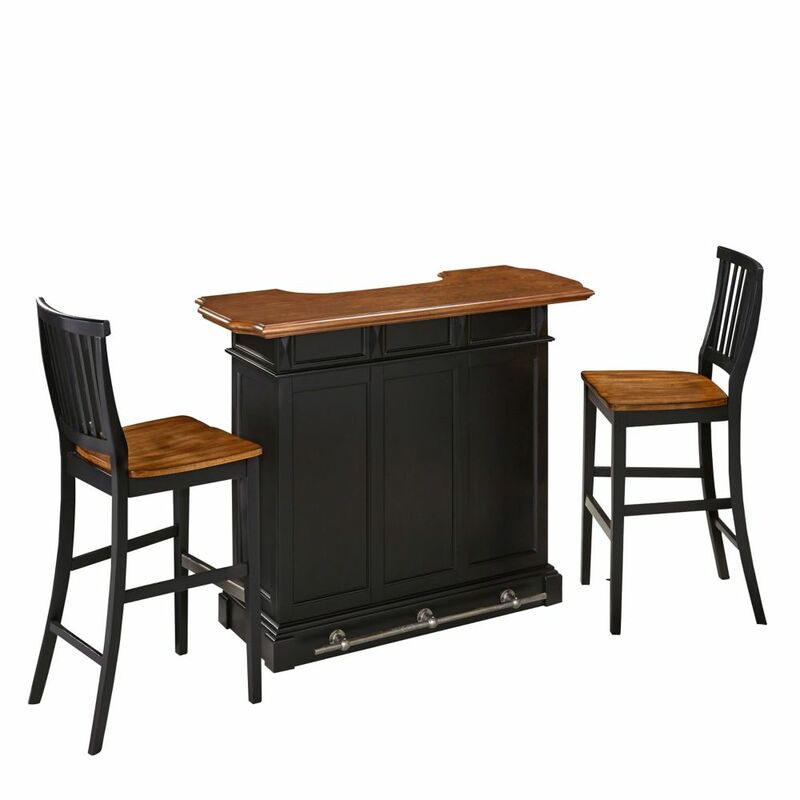 Americana Black Bar and Two Stools is rated 3.0 out of 5 by 2. Rated 2 out of 5 by Kathleen from Not very easy at all to assemble at all. ... Not very easy at all to assemble at all. The cam locks were very difficult to engage during assembly. As much as I like it and can overlook that the pieces do not connect together leaving spaces in the front and the oak top cannot be tightened, I wouldn't recommend it for the price that it cost. Very disappointed . . . Rated 4 out of 5 by Mary from Very nice Looks great, good sturdy quality. Chairs especially sturdy and beautiful. Love it.